> On Reservations with No Deposit, Hotel shall hold reservation until 1800H. The Hotel reserves the right to give room reserved to another interested party in case of no communication notice by 1600H and no arrival after 1800H. - If you cancel your GUARANTEED reservation on the day of check-in. - If you don’t check-in by 0100H (Local Time) on the last day of Check-out, full payment will be forfeited. The management (EVER O BUSINESS HOTEL) is not responsible if the Guest cancels their Room reservation upon arrival because of refusal to stay. 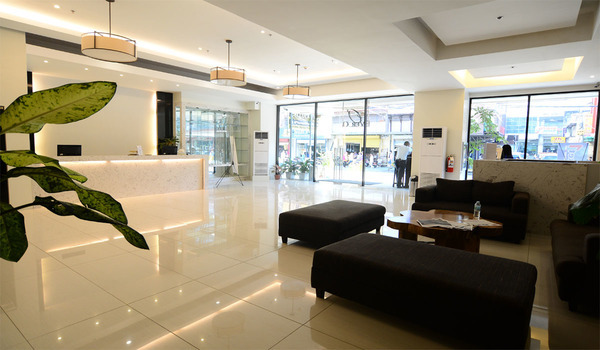 The Guest then must pay one night Room charge per room. > Remaining nights will be cancelled at No further charge.